This tiny river island switches sovereignty every six months—a rare agreement that's lasted 400 years. 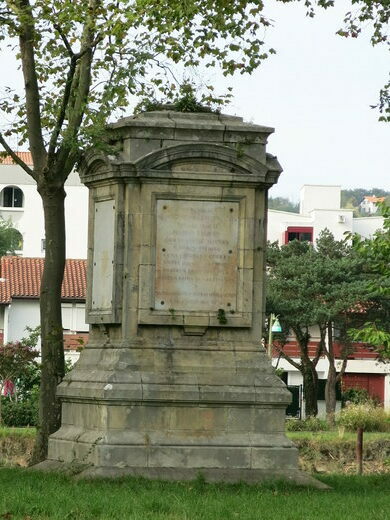 On the western border between France and Spain, wedged between the two countries, there lies a two-acre island with no sign of human interference, save an inscribed white monument in the middle. It may look like nothing special, but this little splotch of land is actually home to centuries of history, and one of the most unique border irregularities in the world. 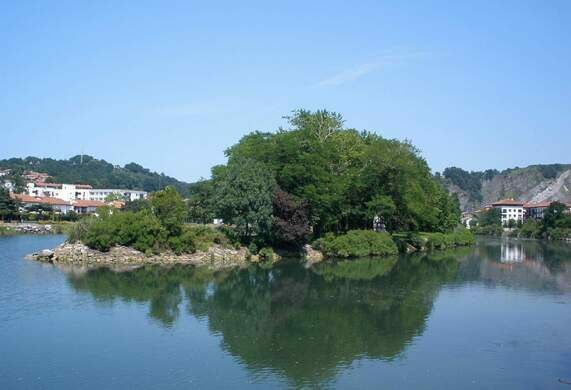 Pheasant Island, situated in the center of the Bidasoa River, is known as a “condominium,” a territory belonging to two separate nations at the same time. Every six months, representatives from France and Spain meet on Pheasant Island to exchange official papers, handing sovereignty of the island from one country to the other. Not only is Pheasant Island the world’s longest-lasting condominium, it is also the only one to alternate sovereignty between the two countries throughout the year, as opposed to condominiums like Antarctica, where countries share sovereignty over the land simultaneously. Although the river island lies only a few dozen feet off the coast of each country, visitors are banned. This strange half-year sovereignty conundrum is a result of over 400 years of history. When the Thirty Years War officially ended in 1648, violence and political interference between France and Spain continued on until 1659, when the Treaty of the Pyrenees was signed. In need of a neutral, symbolic location to sign the treaty, France and Spain chose Pheasant Island, conveniently located directly between the two countries’ territories. The officials from both countries then amended the Treaty of the Pyrenees to ensure that the island was exchanged from country to country every six months, symbolizing peace and equality. From that day forward, the small island became the ultimate neutral common ground between the two countries, serving as a frequent meeting place between French kings and their Spanish brides (and vice versa). Since 1659, Pheasant Island has been passed back and forth between France and Spain over 700 times, and to this day it remains a powerful, albeit bizarre, symbol of peace and neutrality. The eclectic observatory castle of a 19th-century astronomer and explorer. This Navarrese cave's history of witchcraft and pagan ritual is not just embraced, but recreated each year. Eccentric sculpture garden brings Basque mythology to life. This old brick building has held everyone from prisoners of war to freedom fighters during its turbulent history.